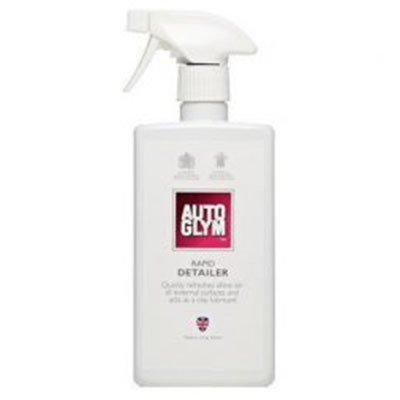 Rapid Detailer removes light dirt, restores shine and leaves a layer of polymeric protection on surfaces. It is a superior maintenance product for all exterior surfaces, including paintwork, rubber, plastic, chrome, carbon fibre and glass. It can also be used as a clay bar lubricant. You can also apply it to rubber, plastic, bare metal and chrome. If you have driven your car to a show, or are displaying it somewhere, this is perfect to get it back to 100%. If you have ever seen us maintaining cars at a show, we will have been using Rapid Detailer, it is our ?go to? product. Team up with a Hi-Tech Finishing Cloth and it is the perfect maintenance duo. 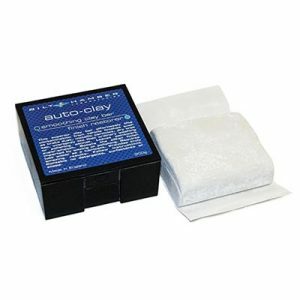 Rapid Detailer is also an excellent clay bar lubricant and comes as part of the Surface Detailing Clay Kit. 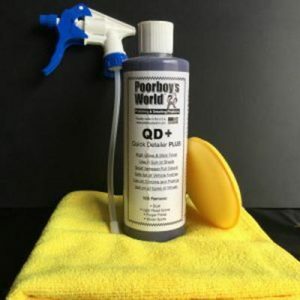 Pro Tip: If your paintwork is dull you will need to give it a wash and a polish first, and then you can use Rapid Detailer to maintain the polished finish.